In the city centre of Athens, gentrification tendencies were identified in the late 1990s and its dynamics accelerated when neoliberal policies were launched for the preparation/ beautification of the city for the Olympic Games. Although the projects stopped exactly after the event, speculation and rent gaps had risen and middle classes had relocated themselves in central areas, such as the area of Metaxourgio that my research has focused on, evicting the pre-existing households and land uses. By the end of 2000s the neoliberal crisis has seriously hit the city, whilst the living conditions in the city centre are declining. Middle classes feel trapped in a common destiny with people who ‘are not like them’, whilst fearing of the ‘others’ and of the future outcome of their investments. In order to secure their thresholds they engage with defensive homeownership strategies which deepen the urban frontier. At the same time, the ‘sustainable’ regeneration projects that are launched -by the state- in the city centre call for the return of the middle classes thus are publicized as opportunities for a break out of the crisis. 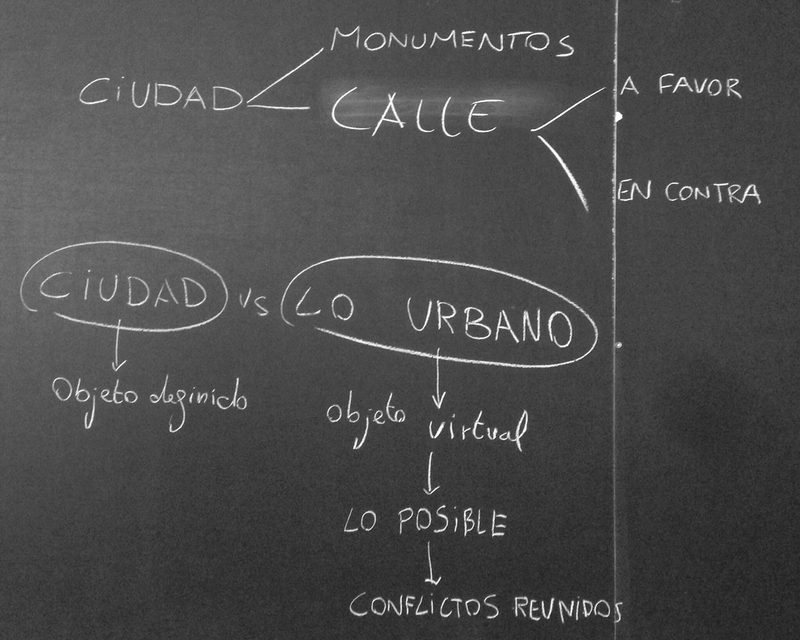 Moreover, the projects that indeed take place are related to socio-spatial cleansing of the ‘unwanted’ and the social control of the (public) space of the city centre. 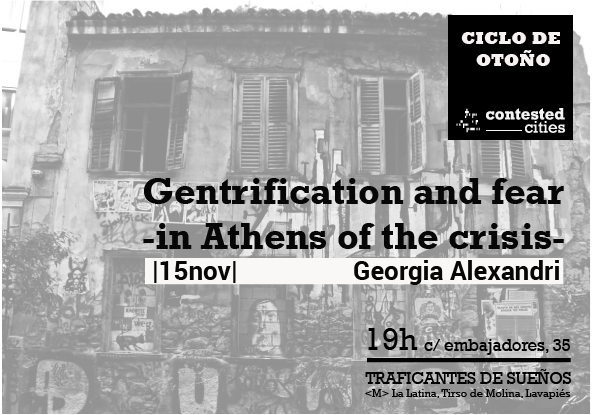 In the case of Athens, in times of crisis, the right iron fist of the punitive state goes hand in hand with the middle class tactics for the appropriation of space and the broadening of the gentrification horizon. This entry was posted in Conflicto urbano, Derecho a la ciudad, Gentrificación, Sin categoría and tagged Contested Cities, Georgia Alexandri. Bookmark the permalink.